SBS Worldwide appointed Mike Barber as General Manager – Manchester. 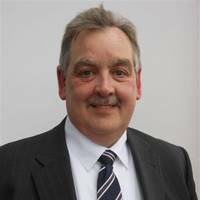 He will help SBS continue building the full range of forwarding and supply chain services it offers in the north of the U.K. Mr. Barber has 40 years’ experience in the forwarding and logistics industry, most recently with the Geodis Group. He has particular expertise in the automotive and pharmaceutical industries, but has worked within many other markets to help customers develop more efficient supply chains. 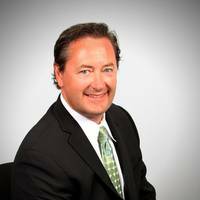 Global transportation provider SBS Worldwide has appointed Certified Public Accountant Don Colter as Vice President of Finance, USA. In his new role, Mr. Colter is tasked with strengthening the financial function of the company’s US business to support its expanding service offering and new business opportunities in existing and target industry verticals. He will be based at SBS Worldwide’s Atlanta Corporate Headquarter office and will report directly to USA Managing Director Lars Kloch. Mr. Kloch said: “I would personally like to welcome Don to the SBS Worldwide team. Global supply chain provider SBS Worldwide has urged shippers to use logistics providers with strong relationships with shipping lines or they could find their shipments left on the quay side. The warning comes as shipping lines have been withdrawing capacity because the industry has been suffering from over-supply of vessels on key trade lanes. SBS Worldwide Group Chairman Steve Walker said: “When shipping lines remove services in order to balance supply and demand, it results in a short term reduction in capacity. The UK’s logistics industry has welcomed the opening of a new deepwater terminal at the country’s busiest container terminal, which is capable of handling the latest generation of container vessels. The Felixstowe South Terminal will comprise two berths – 8 & 9 – and its owner, Hutchison Ports UK , claims it is currently the only facility in the country capable of handling the latest generation of containerships, which have capacities of up to 18,000teu. Graham Riches, Managing Director, DSV Air & Sea, said: “The opening of this new terminal is great news for the whole of the UK. He continued, “Our customers need a reliable and regular supply chain and it is essential that the freight industry is able to provide business with the option of direct ports of call. Academic publisher, McGraw-Hill Education, has appointed SBS Worldwide as its freight forwarder and supply chain partner of choice for all inbound air and sea consignments. SBS will manage the logistics of cargo being delivered to the McGraw-Hill Education EMEA headquarters in Maidenhead, Berkshire, which will include inbound shipments from a diverse range of locations, such as USA, Australia, Hong Kong and Singapore. The company will also facilitate a drop shipment service for direct delivery to customer publishers and their respective freight shippers.As part of the agreement, McGraw-Hill Education will use SBS’s award-winning Electronic Distribution Centre (eDC) tool, which will give the company access to real time data on its global consignments – right down to ISBN number. Logistics company SBS Worldwide worked tirelessly through the weekend to maintain its clients’ supply chains as the devastating hurricane Irene battered the US north east. Early on Monday morning, SBS Worldwide’s New Jersey office was “open for business as usual”, after airports and seaports were closed and road infrastructure was reduced to a honeycomb of flowing water, trees and mud as Irene hit the US east coast over the weekend. SBS Worldwide US MD Lars Kloch says preparation is key to ensuring that disruption to its clients’ supply chains is kept to a minimum at times like these. 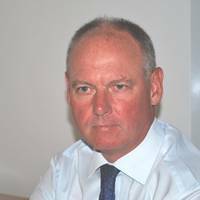 Philip Brown, who has worked in the logistics and freight forwarding industry for over 20 years, has been appointed UK Managing Director for SBS Worldwide. 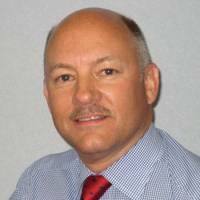 Steve Walker , Group Chairman said ‘ This completes our senior management appointments that will see our change from an A2B forwarder to a Supply Chain driven model, with Phil’s expertise allied with our consultative brand Virtualized Logistics leading the drive’. 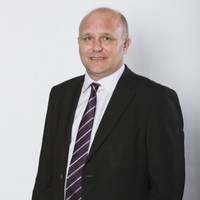 Philip Brown joins SBS from NYK Logistics Europe where he was a Director. Gary Hubbard has been appointed as Group Business Development Director of SBS Worldwide. Hubbard, 42, has been tasked with delivering SBS’s new strategic business plan across the operating sites in North America, China, the UK and the emerging economies. His role will focus on supporting SBS’s entry into new countries and industry verticals as well as promoting the new supply chain consulting armof SBS –Virtualized Logistics. Having spent much of his working career overseas, Hubbard has worked extensively in China, India, North & South America, Africa, Australasia & The Middle East. Global full service freight forwarder, SBS Worldwide launched a key ocean freight consolidation service through the US West Coast gateway for its customers in the north of the UK through its Manchester office, the first of a series of planned enhancements this year. 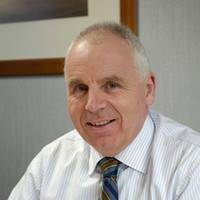 Chairman, Steve Walker is certain that as the economic chill hardens, exporters and importers in one of the most important commercial, industrial and retail regions of the UK will welcome his company’s improved services. “During January, we introduced a Los Angeles/Liverpool consolidation service with a 17 day depot to depot transit time,” he said.